Abbott, Kathy. “Praise as Protector of the Natural World.” Cross Currents 63, no. 4 (December 1, 2013): 401–4. Abraham, Curtis. “Do unto the Planet.” New Scientist 217, no. 2902 (2013): 26–27. Adams, Carol J. Ecofeminism and the Sacred. New York: Continuum, 1993. Aderibigbe, Gbola, and Deji Ayegboyin. Religion & the Environment. Ibadan, Nigeria: Olu-Akin Publishers, 2000. Albanese, Catherine L. America, Religions and Religion. 2nd edition. Belmont, Calif: Wadsworth Pub Co, 1992. ———. Nature Religion in America : From the Algonkian Indians to the New Age. Chicago: University of Chicago Press, 1990. ———. Reconsidering Nature Religion. Harrisburg, PA: Trinity Press International, 2002. Albertson, David, and Cabell King. Without Nature? : A New Condition for Theology. 1st edition. New York: Fordham University Press, 2010. Althouse, H Scott. “Called to Stewardship.” Perspectives on Science and Christian Faith 50, no. 4 (December 1, 1998): 236–38. Anderson, J. “Ecology and the Environment” in Moral Dilemmas : Biblical Perspectives on Contemporary Ethical Issues. Nashville, TN: Word Pub, 1998. “A Pastoral Teaching on the Environment from the House of Bishops of the Episcopal Church.” Anglican Theological Review 94, no. 2 (March 1, 2012): 305–9. Artson, Bradley Shavit. “Co-Evolving: Judaism and Biology.” Zygon: Journal of Religion & Science 46, no. 2 (2011): 429–45. Ashford, Joan Anderson. Ecocritical Theology : Neo-Pastoral Themes in American Fiction from 1960 to the Present. Jefferson, NC: McFarland, 2012. Attfield, Robin. Environmental Ethics : An Overview for the Twenty-First Century. Second edition.. Cambridge: Polity Press, 2014. Austin, Richard Cartwright. Baptized into Wilderness : A Christian Perspective on John Muir. Atlanta: JKnox Press, 1987. ———. Hope for the Land : Nature in the Bible. Atlanta, Ga: JKnox Press, 1988. ———. Reclaiming America : Restoring Nature to Culture. Abingdon, Va: Creekside Press, 1990. Baatz, Christian. “Responsibility for the Past? Some Thoughts on Compensating Those Vulnerable to Climate Change in Developing Countries.” Ethics, Policy & Environment 16, no. 1 (2013): 94–110. Bahnson, Fred, Norman Wirzba, and Bill McKibben. Making Peace with the Land: God’s Call to Reconcile with Creation. Downers Grove, Ill: IVP Books, 2012. Bakken, Peter W. Ecology, Justice, and Christian Faith : A Critical Guide to the Literature. Westport, Conn: Greenwood Press, 1995. Ball, Ian. The Earth beneath : A Critical Guide to Green Theology. London: SPCK, 1992. Ball, James R. Planting a Tree This Afternoon : Global Warming, Public Theology, and Public Policy. Wynnewood, PA: Crossroads, 1998. Baptista, Paulo Agostinho Nogueira. “A Re-Ligação: O Encontro Das Religiões E O Cristianismo Na Teologia Teoantropocósmica.” Horizonte 3, no. 5 (January 1, 2004). Barbour, Ian G. Nature, Human Nature, and God. Minneapolis, MN: Fortress Press, 2002. Barkey, Michael B. Environmen[t]al Stewardship in the Judeo-Christian Tradition : Jewish, Catholic and Protestant Wisdom on the Environment. Washington, DC: Interfaith Council for Environmental Stewardship ; Grand Rapids, MI, 2000. Barnhill, David Landis, and Roger S Gottlieb. Deep Ecology and World Religions : New Essays on Sacred Grounds. Albany: State University of New York Press, 2001. Barron, Duane. “For God so Loved the Cosmos: The Good News, Ecology and Christian Ethics.” Restoration Quarterly 47, no. 2 (January 1, 2005): 69–82. Bartels, Laura A. “The Political Image as the Basis for Wesleyan Ecological Ethics.” Quarterly Review 23, no. 3 (September 1, 2003): 294–301. Bartkowski, John P., and W. Scott Swearingen. “God Meets Gaia in Austin, Texas: A Case Study of Environmentalism as Implicit Religion.” Review of Religious Research, 38, no. 4 (1997): 308–24. Bassett, Libby, John T. Brinkman, and Kusumita Priscilla Pedersen. Earth and Faith : A Book of Reflection for Action. New York, NY: Interfaith Partnership for the Environment, 2000. Bauman, Whitney. “Ecology and Contemporary Christian Theology.” Religion Compass 5, no. 8 (August 1, 2011). ———. Religion and Ecology : Developing a Planetary Ethic. New York: Columbia University Press, 2014. Bauman, Whitney A., Richard R. Bohannon II, and Kevin J. O’Brien. Inherited Land: The Changing Grounds of Religion and Ecology. Eugene, Or: Wipf & Stock Pub, 2011. Bauman, Whitney, Richard Bohannon, and Kevin J O’Brien. Grounding Religion : A Field Guide to the Study of Religion and Ecology. 1st edition. New York: Routledge, 2011. Becker, Christian. “Introduction to the Special Section: Integrating Development Ethics and Climate Change Ethics.” Ethics, Policy & Environment 16, no. 1 (2013): 37–42. Beisner, E. Where Garden Meets Wilderness : Evangelical Entry into the Environmental Debate. Grand Rapids, Mich: Acton Institute for the Study of Religion and Liberty, 1997. Bell, Andy. “An Eco-Theology.” Cross Currents 63, no. 4 (December 1, 2013): 386–89. Belser, Julia Watts. “Special Issue on Religion, Disability and the Environment, Fall 2014–Worldviews: Global Religions, Culture, and Ecology.” Journal of Religion, Disability & Health 17, no. 3 (2013): 344–45. Bennett, Jane. Unthinking Faith and Enlightenment : Nature and the State in a Post-Hegelian Era. New York: New York University Press, 1987. Bergant, Dianne, Richard N Fragomeni, and John Pawlikowski. The Ecological Challenge : Ethical, Liturgical, and Spiritual Responses. Collegeville, Minn: Liturgical Press, 1994. Bergmann, Sigurd. “Fetishism Revisited: In the Animistic Lens of Eco-Pneumatology.” Journal of Reformed Theology 6, no. 3 (January 1, 2012): 195–215. ———. Religion, Space, and the Environment. New Brunswick, New Jersey: Transaction Publishers, 2014. Bergmann, Sigurd, and Heather Eaton. Ecological Awareness : Exploring Religion, Ethics and Aesthetics. Berlin: Lit, 2011. Bergmann, Sigurd, Irmgard Blindow, and Konrad Ott, eds. Aesth/ethics in Environmental Change : Hiking through the Arts, Ecology, Religion and Ethics of the Environment. Zurich ; Berlin: LIT Verlag, 2013. Bergmann, Sigurd, and Yong-bok Kim. Religion, Ecology & Gender : East-West Perspectives. Berlin: Lit, 2009. Bernstein, Ellen. “Celebrating God, Celebrating Earth: Psalms, Sabbath, and Holy Days.” Currents in Theology and Mission 37, no. 5 (October 1, 2010): 377–88. Bernstein, Jeremy. “`One, Walking and Studying…’: Nature vs. Torah.” Judaism 44, no. 2 (1995): 146. Berry, Evan. “Religious Environmentalism and Environmental Religion in America.” Religion Compass 7, no. 10 (October 1, 2013). Berry, R. J. Ecology and the Environment: The Mechanisms, Marring, and Maintenance of Nature. West Conshohocken, PA: Templeton Press, 2011. Berry, R. J. Environmental Stewardship : Critical Perspectives, Past and Present. London ; New York: T&T Clark, 2006. ———. The Care of Creation : Focusing Concern and Action. Leicester England: Inter-Varsity Press, 2000. Berry, Thomas. Befriending the Earth : A Theology of Reconciliation between Humans and the Earth. Mystic, Conn: Twenty-Third Publications, 1991. ———. Evening Thoughts : Reflecting on Earth as Sacred Community. 1st edition. San Francisco: Sierra Club Books, 2006. ———. The Christian Future and the Fate of Earth. Maryknoll, NY: Orbis Books, 2009. ———. The Dream of the Earth. San Francisco, Calif: Sierra Club Books, 1988. ———. The Great Work: Our Way into the Future. Reprint edition. Broadway Books, 2000. ———. The Sacred Universe : Earth, Spirituality, and Religion in the Twenty-First Century. New York: Columbia University Press, 2009. Bhagat, Shantilal P. Creation in Crisis : Responding to God’s Covenant. Elgin, IL: Brethren Press, 1990. Bhagwat, Shonil A., Alison A. Ormsby, and Claudia Rutte. “The Role of Religion in Linking Conservation and Development: Challenges and Opportunities.” Journal for the Study of Religion, Nature and Culture 5, no. 1 (March 1, 2011): 39–60. Biersack, Aletta. “Introduction: From the ‘New Ecology’ to the New Ecologies.” American Anthropologist, 101, no. 1 (1999): 5–18. Bingham, Sally G. Love God, Heal Earth: 21 Leading Religious Voices Speak Out on Our Sacred Duty to Protect the Environment. 1 edition. Pittsburgh, PA: St. Lynn’s Press, 2009. Birch, Charles, William Eakin, and Jay B McDaniel. Liberating Life : Contemporary Approaches to Ecological Theology. Maryknoll, NY: Orbis Books, 1990. Bird‐David, Nurit. “‘Animism’ Revisited: Personhood, Environment, and Relational Epistemology.” Current Anthropology, 40 (1999): S67–91. Blackstone, William T. “The Environment and Ethics.” The Hastings Center Report, 7, no. 6 (1977): 16–18. Blanchard, Kathryn D’Arcy. An Introduction to Christian Environmentalism : Ecology, Virtue, and Ethics. Waco: Baylor University Press, 2014. Bock, Nelson. “An Eco-Theology: Toward a Spirituality of Creation and Eco-Justice.” Cross Currents 63, no. 4 (December 1, 2013): 433–46. Boff, Leonardo. Cry of the Earth, Cry of the Poor. Maryknoll, NY: Orbis Books, 1997. ———. Ecology and Liberation : A New Paradigm. Maryknoll, NY: Orbis Books, 1995. Bohannon, Richard. Religions and Environments : A Reader in Religion, Nature, and Ecology. New York: Bloomsbury, 2013. Bohmbach, Karla G., and Shauna K. Hannan, eds. Eco-Lutheranism : Lutheran Perspectives on Ecology. Minneapolis: Lutheran University Press, 2013. Bombongan, Jr., Dominador. “The Interface of Science and Religion: The Ecofeminist Theology of Rosemary Ruether.” Journal of Dharma 36, no. 2 (April 1, 2011): 179–97. Boorse, Dorothy. “New Findings in Environmental Science and Their Implications for Christians.” Perspectives on Science & Christian Faith 66, no. 4 (2014): 194–202. Bouma-Prediger, Steven. For the Beauty of the Earth : A Christian Vision for Creation Care. 2nd edition. Grand Rapids, Mich: Baker Academic, 2010. ———. The Greening of Theology : The Ecological Models of Rosemary Radford Ruether, Joseph Sittler, and Juergen Moltmann. Atlanta, Ga: Scholars Press, 1995. Bowman, Douglas C. Beyond the Modern Mind : The Spiritual and Ethical Challenge of the Environmental Crisis. New York: Pilgrim Press, 1990. Boyd, Heather Hartwig. “Christianity and the Environment in the American Public.” Journal for the Scientific Study of Religion, 38, no. 1 (1999): 36–44. Brandt, Don. God’s Stewards : The Role of Christians in Creation Care. Monrovia, Calif: World Vision, 2002. Bratton, Susan. “Christian Ecotheology and the Old Testament.” Environmental Ethics 6 (January 1, 1984): 195–209. ———. Christianity, Wilderness, and Wildlife : The Original Desert Solitaire. Scranton, Pa: University of Scranton Press, London ; Cranbury, NJ, 1993. ———. Environmental Values in Christian Art. Albany, NY: State University of New York Press, 2008. ———. “The Ecotheology of James Watt.” Environmental Ethics 5 (January 1, 1983): 225–36. Breuilly, Elizabeth, and Martin Palmer. Christianity and Ecology. London ; New York: Cassell, 1992. Brown, Edward Ralph. Our Father’s World : Mobilizing the Church to Care for Creation. Downers Grove, Ill: IVP Books, 2008. Brown, Noel J, and Pierre Quiblier. Ethics & Agenda 21 : Moral Implications of a Global Consensus. New York: United Nations Environment Programme, 1994. Brustolin, Leomar Antônio, and Ramiro Mincato. “A Criação Como Sistema Aberto: A Teologia Com Perspectiva Ecológica Em Jürgen Moltmann.” Estudos Teológicos 49, no. 2 (July 1, 2009): 280–90. Bullmore, Michael A. “The Four Most Important Biblical Passages for a Christian Environmentalism.” Trinity Journal 19, no. 2 (September 1, 1998): 139–62. Burhoe, Ralph Wendell. “Papers of the 1970 Conference on Ethics and Ecology of the Institute on Religion in an Age of Science.” Zygon 5, no. 4 (December 1, 1970): 274–369. Burkholder, Benjamin J. “Christological Foundations for an Ecological Ethic: Learning from Bonhoeffer.” Scottish Journal of Theology 66, no. 3 (January 1, 2013): 338–56. Bush, Joseph E. “New Cosmology and Old Questions: Reflections on Fifty Years of Thinking about Christianity and Ecology.” Colloquium 32, no. 1 (May 1, 2000): 51–70. Bush, Joseph Earl. Social Justice and the Natural Environment in the Study Program of the World Council of Churches, 1966-1990 /Joseph Earl Bush, Jr. Thesis PhD, Drew University, 1993. Butkus, Russell A. Environmental Science and Theology in Dialogue. Maryknoll, NY: Orbis Books, 2011. Byrne, Brendan. “Ecothology : ANZATS Conference, Christchurch July 2000.” Pacifica 13, no. 2 (June 1, 2000): 125–212. Cain, Clifford C. An Ecological Theology : Reunderstanding Our Relation to Nature. Lewiston, NY: Edwin Mellen Press, 2009. ———. Many Heavens, One Earth : Readings on Religion and the Environment. Lanham, Md: Lexington Books, 2012. Callicott, J. Baird. “Multicultural Environmental Ethics.” Daedalus, 130, no. 4 (2001): 77–97. Candiotto, Jaci de Fátima Souza. “A Teologia Ecofeminista E Sua Perspectiva Simbólico/cultural.” Horizonte 10, no. 28 (October 1, 2012). Caputi, Jane. “Feeding Green Fire.” Journal for the Study of Religion, Nature and Culture 5, no. 4 (December 1, 2011): 410–36. Carmody, John. Ecology and Religion : Toward a New Christian Theology of Nature. New York: Paulist Press, 1983. Carrasco, David. The Imagination of Matter : Religion and Ecology in Mesoamerican Traditions. Oxford, England: BAR, 1989. Carroll, John Edward, Paul T Brockelman, and Mary Westfall. The Greening of Faith God, the Environment, and the Good Life. Hanover: University Press of New England, 1997. Carter, Robert Edgar, and Sheldon Isenberg. The Ideal in the World’s Religions : Essays on the Person, Family, Society, and Environment. 1st edition. StPaul, Minn: Paragon House, 1997. Case-Winters, Anna. Reconstructing a Christian Theology of Nature : Down to Earth. Aldershot, England ; Burlington, VT: Ashgate PubLtd, 2007. Chappell, David W. “Ecological Crisis.” Buddhist-Christian Studies 12 (January 1, 1992): 161–78. Chapple, Christopher Key. Ecological Prospects Scientific, Religious, and Aesthetic Perspectives. Albany: State University of New York Press, 1994. Chibuko, Patrick Chukwudezie. “Forestation — Deforestation — Reforestation: Implications for Ecology and Liturgy in Dialogue.” AFER 52, no. 2–3 (June 1, 2010): 189–212. Childs, James M., and George Wolfgang Forell. Christian Social Teachings a Reader in Christian Social Ethics from the Bible to the Present. Minneapolis: Fortress Press, 2013. Childs, James M, Jr. “The Ecology of Moral Authority: A Response to James A. Nash, ‘The Bible and Biodiversity: The Case against Moral Arguments from Scripture.’” Journal for the Study of Religion, Nature and Culture 3, no. 2 (June 1, 2009): 254–59. Chirongoma, Sophie. “Karanga-Shona Rural Women’s Agency in Dressing Mother Earth: A Contribution towards an Indigenous Eco-Feminist Theology.” Journal of Theology for Southern Africa, no. 142 (March 1, 2012): 120–44. Christiansen, Drew, and Walter Grazer. And God Saw That It Was Good : Catholic Theology and the Environment. Washington, DC: United States Catholic Conference, 1996. Christie, Douglas E. The Blue Sapphire of the Mind : Notes for a Contemplative Ecology. New York: Oxford University Press, 2013. Clarke, Peter, and Tony Claydon. God’s Bounty? : The Churches and the Natural World. Woodbridge, Suffolk, UK: Ecclesiastical History Society ; Rochester, NY, 2010. Clark, John Michael. An Unbroken Circle : Ecotheology, Theodicy, & Ethics. Las Colinas, Tex: Monument Press, 1996. Clark, Timothy. The Cambridge Introduction to Literature and the Environment. Cambridge: Cambridge University Press, 2011. Clayton, Philip, and Zachary Simpson. The Oxford Handbook of Religion and Science. Oxford ; New York: Oxford University Press, 2008. Clingerman, Forrest. “Geoengineering, Theology, and the Meaning of Being Human.” Zygon 49, no. 1 (March 1, 2014): 6–21. Clowney, David, and Patricia Mosto. Earthcare : An Anthology in Environmental Ethics. Lanham: Rowman & Littlefield Publishers, Inc, 2009. Cobb, John B. Is it too late? : A theology of ecology. Beverly Hills, Calif: Bruce, 1972. Cohen-Kiener, Andrea, and Rev Sally Bingham. Claiming Earth as Common Ground: The Ecological Crises through the Lens of Faith. 1 edition. Woodstock, Vt: SkyLight Paths, 2009. Coleman, John Aloysius, and William F. Ryan. Globalization and Catholic Social Thought : Present Crisis, Future Hope. Maryknoll, NY: Orbis Books, 2005. Coleman, Monica A., Nancy R. Howell, and Helene Tallon Russell. “Ecofeminism and Nature,” in Creating Women’s Theology : A Movement Engaging Process Thought. Eugene, Or: Pickwick Publications, 2011. Commoner, Barry. The Closing Circle : Confronting the Environmental Crisis. London: Jonathan Cape, 1971. Conlon, James, and Thomas Berry. Earth Story, Sacred Story. Mystic, Conn: Twenty-Third Publications, 1994. Conradie, Ernst M. An Ecological Christian Anthropology : At Home on Earth?. Aldershot, Hants, England ; Burlington, VT: Ashgate, 2005. ———. , ed. Christian Faith and the Earth : Current Paths and Emerging Horizons in Ecotheology. London: Bloomsbury, 2014. ———. Christianity and Ecological Theology : Resources for Further Research. Stellenbosch: Sun Press, 2006. ———. “Contemporary Challenges to Christian Ecotheology: Some Reflections on the State of the Debate after Five Decades.” Journal of Theology for Southern Africa, no. 147 (November 1, 2013): 106–23. ———. Creation and Salvation : Dialogue on Abraham Kuyper’s Legacy for Contemporary Ecotheology. Leiden ; Boston: Brill, 2011. ———. Hope for the Earth : Vistas on a New Century. 1st. edition. Bellville, South Africa: University of the Western Cape, 2000. ———. Saving the Earth? : The Legacy of Reformed Views on “Re-Creation.” Wien ; Berlin: : Lit Verlag, 2013. ———. The Church and Climate Change. Pietermaritzburg, South Africa: Cluster Publications, 2008. ———. “The Earth in God’s Economy: Reflections on the Narrative of God’s Work.” Scriptura, no. 97 (January 1, 2008): 13–36. Conroy, Donald B, and Rodney Lawrence Petersen. Earth at Risk : An Environmental Dialogue between Religion and Science. Amherst, NY: Humanity Books, 2000. Conway, Janet. “Western Christianity in Ecofeminist Perspective.” Conservative Judaism 44, no. 1 (September 1, 1991): 36–50. Cooey, Paula M. “Resurrection of the Body : Finding a Misplaced Future.” Buddhist-Christian Studies 12 (January 1, 1992): 167–73. Cooper, David Edward, and Joy Palmer. Spirit of the Environment : Religion, Value, and Environmental Concern. London ; New York: Routledge, 1998. Costa, Edilson da, and Márcio Luiz Fernandes. “A Contribução Do Cristianismo Na Construção de Um Pensamento Socioambiental = The Contribution of Christianity in Constructing a Socio-Environmental Thinking.” Protestantismo Em Revista 27 (January 1, 2012). Coward, Harold G. Population, Consumption, and the Environment Religious and Secular Responses. Albany, NY: State University of New York Press, 1995. Crockett, Clayton, and Donna Bowman. Cosmology, Ecology, and the Energy of God. 1st edition. New York: Fordham University Press, 2012. Cummings, Charles. Eco-Spirituality: Toward a Reverent Life. Mahwah, N.J: Paulist Press, 1991. Dahill, Lisa E. “Bio-Theoacoustics: Prayer Outdoors and the Reality of the Natural World.” Dialog 52, no. 4 (December 1, 2013): 292–302. Dalmiya, Vrinda. “Cows and Others: Toward Constructing Ecofeminist Selves.” Environmental Ethics 24, no. 2 (June 1, 2002): 149–68. Dalton, Anne Marie. A Theology for the Earth : The Contributions of Thomas Berry and Bernard Lonergan. Ottawa: University of Ottawa Press, 1999. ———. Ecotheology and the Practice of Hope. Albany: State University of New York Press, 2010. Darragh, Neil. “Adjusting to the Newcomer : Theology and Ecotheology.” Pacifica 13, no. 2 (June 1, 2000): 160–80. Davy, Barbara Jane. “An Other Face of Ethics in Levinas.” Ethics and the Environment, 12, no. 1 (2007): 39–65. ———. “Being at Home in Nature: A Levinasian Approach to Pagan Environmental Ethics.” Pomegranate 7, no. 2 (2005): 157–72. ———. “Jewish Ecologies.” Alternatives Journal 29, no. 2 (2003): 46–46. Deane-Drummond, Celia. Eco-Theology. Toronto: Novalis, 2008. ———. Pierre Teilhard de Chardin on People and Planet. London ; Oakville, CT: Equinox, 2006. ———. The Ethics of Nature. Malden, MA: Blackwell, 2004. Deane-Drummond, Celia E. “Response to James A. Nash: ‘The Bible vs. Biodiversity: The Case against Moral Argument from Scripture.’” Journal for the Study of Religion, Nature and Culture 3, no. 2 (June 1, 2009): 271–78. Delio, Ilia, Keith Douglass Warner O.F.M, and Pamela Wood. Care for Creation: A Franciscan Spirituality of the Earth. Cincinnati, OH: St. Anthony Messenger Press, 2008. Dempsey, Carol J., and Russell A Butkus. All Creation Is Groaning : An Interdisciplinary Vision for Life in a Sacred Universe. Collegeville, Minn: Liturgical Press, 1999. Derrick, Christopher. The Delicate Creation : Towards a Theology of the Environment. Old Greenwich, Conn: Devin-Adair Co, 1972. Derr, Thomas Sieger. Environmental Ethics and Christian Humanism. Nashville, TN: Abingdon Press, 1996. Devall, Bill. Deep Ecology. Salt Lake City, Utah: GMSmith, 1985. ———. “The Deep, Long-Range Ecology Movement 1960–2000—A Review.” Ethics and the Environment, 6, no. 1 (2001): 18–41. DeWitt, Calvin B. The Environment and the Christian : What Does the New Testament Say about the Environment?. Grand Rapids, Mich: Baker Book House, 1991. Diamond, Irene. “Toward a Cosmology of Continual Creation: From Ecofeminism to Feminine Ecology and Umbilical Ties.” Cross Currents 54, no. 2 (June 1, 2004): 7–16. Diehm, Christian. “Darwin and Deep Ecology.” Ethics & the Environment 19, no. 1 (2014): 73–93. Dombrowski, Daniel A. Not Even a Sparrow Falls : The Philosophy of Stephen R.L. Clark. East Lansing, Mich: Michigan State University Press, 2000. Dowd, Michael. Earthspirit : A Handbook for Nurturing an Ecological Christianity. Mystic, Conn: Twenty-Third Publications, 1991. Downie, Alison. “A Spirituality of Openness: Christian Ecofeminist Perspectives and Inter-Religious Dialogue.” Feminist Theology: The Journal of the Britain & Ireland School of Feminist Theology 23, no. 1 (2014): 55–70. Drengson, Alan R., and Yuichi Inoue. The Deep Ecology Movement : An Introductory Anthology. Berkeley, Calif: North Atlantic Books, 1995. Dunham, Scott A. The Trinity and Creation in Augustine : An Ecological Analysis. Albany, NY: State University of New York Press, 2008. Dunlap, Riley E, and Angela G Mertig. American Environmentalism : The U.S. Environmental Movement, 1970-1990. Philadelphia: Taylor & Francis, 1992. Eaton, Heather. “Global Visions and Common Ground: Biodemocracy, Postmodern Pressures, and the Earth Charter.” Zygon: Journal of Religion & Science 49, no. 4 (2014): 917–37. ———. Introducing Ecofeminist Theologies. New York, NY: T & T Clark International, 2005. ———. “The Edge of the Sea: The Colonization of Ecofeminist Religious Perspectives.” Critical Review of Books in Religion 11 (January 1, 1998): 57–82. Eaton, Matthew. “A Generous Peace and Boundless Love: Expanding Thomas Berry’s Cosmology of Peace.” Cross Currents 62, no. 4 (December 1, 2012): 475–94. ———. “Eco-Pacifism and the Anabaptist Vision.” Conrad Grebel Review 29, no. 2 (March 1, 2011): 71–94. Edwards, Denis. Earth Revealing–Earth Healing : Ecology and Christian Theology. Collegeville, Minn: Liturgical Press, 2001. ———. Ecology at the Heart of Faith. Maryknoll, NY: Orbis Books, 2006. Edwards, Jo, and Martin Palmer, eds. Holy Ground: Guide to Faith and Ecology. Yelvertoft: Pilkington Press, 1997. Elvey, Anne. “Beyond Culture? Nature/Culture Dualism and the Christian Otherworldly.” Ethics and the Environment, 11, no. 2 (2006): 63–84. Engel, J Ronald. “Democracy, Christianity, Ecology: A Twenty-First-Century for Eco-Theology.” Cross Currents 61, no. 2 (June 1, 2011): 217–31. English, Tom, and Frederick Krueger. Witness For The Earth: Coalescing the Religious Environmental Movement. CreateSpace Independent Publishing Platform, 2010. Erhard, Nancie. Moral Habitat : Ethos and Agency for the Sake of Earth. Albany: State University of New York Press, 2007. Estes, Daniel J. “Creation Theology in Psalm 148.” Bibliotheca Sacra 171, no. 681 (January 1, 2014): 30–41. Faramelli, Norman J. “Whither the Bible in Environmental Ethics and Moral Argument?” Journal for the Study of Religion, Nature and Culture 3, no. 2 (June 1, 2009): 266–70. Fellenz, Marc R. The Moral Menagerie : Philosophy and Animal Rights. Urbana: University of Illinois Press, 2007. Fergusson, David. Creation. Guides to Theology. Grand Rapids, Michigan: Eerdmans Publishing Company, 2014. Fick, Gary W. Food, Farming, and Faith. Albany: State University of New York Press, 2008. Field, David N. “The Theological Authority of the Bible and Ecological Theology.” Scriptura, no. 101 (January 1, 2009): 206–18. Finn, Steven M. “Valuing Our Food: Minimizing Waste and Optimizing Resources.” Zygon: Journal of Religion & Science 49, no. 4 (2014): 992–1008. Fischer, Kathleen R. Loving Creation : Christian Spirituality, Earth-Centered and Just. New York: Paulist Press, 2009. Fishman, Ram Mukul. “Is Sustainability a Fact?” Union Seminary Quarterly Review 63, no. 1–2 (January 1, 2010): 180–81. Flanagan, Tara. “The Broken Body of God: Moving beyond the Beauty Bias in Ecological Ethics.” Currents in Theology and Mission 39, no. 2 (April 1, 2012): 146–50. Foltz, Bruce V. The Noetics of Nature : Environmental Philosophy and the Holy Beauty of the Visible. First edition. New York: Fordham University Press, 2014. Foltz, Bruce V., and John Chryssavgis. Toward an Ecology of Transfiguration Orthodox Christian Perspectives on Environment, Nature, and Creation. First edition. New York: Fordham University Press, 2013. Foltz, Richard C. Worldviews, Religion, and the Environment: A Global Anthology. 1 edition. Australia ; Belmont, CA: Cengage Learning, 2002. Foltz, Richard, Frederick Mathewson Denny, and Azizan Haji Baharuddin. Islam and Ecology : A Bestowed Trust. Cambridge, Mass: Center for the Study of World Religions, Harvard Divinity School, 2003. Fowler, Robert Booth. The Greening of Protestant Thought. Chapel Hill: University of North Carolina Press, 1995. Fox, Matthew. Original Blessing : A Primer in Creation Spirituality : Presented in Four Paths, Twenty-Six Themes, and Two Questions. 1st Jeremy P. Tarcher/Putnam edition. New York: Jeremy PTarcher/Putnam, 2000. Fraser, Jessica. “Where the Divine Meets the Created: The Feminist and Ecofeminist Trinitarian Theologies of Elizabeth A Johnson and Ivone Gebara.” Religious Studies and Theology 23, no. 2 (January 1, 2004): 53–77. Fredericks, Sarah E. “Ethics in Agenda 21.” Ethics, Policy & Environment 17, no. 3 (2014): 324–38. Gatta, John. Making Nature Sacred : Literature, Religion, and Environment in America from the Puritans to the Present. New York: Oxford University Press, 2004. Gebara, Ivone. “Ecofeminism: A Latin American Perspective.” Cross Currents 53, no. 1 (March 1, 2003): 93–103. ———. Longing for Running Water : Ecofeminism and Liberation. Minneapolis, MN: Fortress Press, 1999. Gilkey, Langdon. Nature, Reality, and the Sacred : The Nexus of Science and Religion. Minneapolis: Fortress Press, 1993. Glave, Dianne D. Rooted in the Earth : Reclaiming the African American Environmental Heritage. 1st edition. Chicago, Ill: Lawrence Hill Books, 2010. Gnanadason, Aruna. “‘We Have Spoken so Long O God: When Will We Be Heard?’ Theological Reflections on Overcoming Violence against Women.” Theology & Sexuality 13, no. 1 (September 1, 2006): 9–21. Gnanakan, Ken. God’s World : Biblical Insights for a Theology of the Environment. London: SPCK, 1999. Golliher, Jeffrey, and William Bryant Logan. Crisis and the Renewal of Creation : World and Church in the Age of Ecology. New York: Continuum, 1996. Gorospe, Athena E. “Evangelicals and the Environment: Going beyond Stewardship.” Evangelical Review of Theology 37, no. 3 (July 1, 2013): 256–66. Gottlieb, Roger S. A Greener Faith : Religious Environmentalism and Our Planet’s Future. Oxford ; New York: Oxford University Press, 2006. ———. Religion and the Environment. London ; New York: Routledge, 2010. ———. The Oxford Handbook of Religion and Ecology. Oxford ; New York: Oxford University Press, 2006. ———. This Sacred Earth : Religion, Nature, Environment. New York: Routledge, 1996. Graff, Ann Elizabeth O’Hara. In the Embrace of God : Feminist Approaches to Theological Anthropology. Maryknoll, NY: Orbis Books, 1995. Granberg-Michaelson, Wesley. Redeeming the Creation : The Rio Earth Summit : Challenges for the Churches. Geneva: WCC Publications, 1992. Greeley, Andrew. “Religion and Attitudes toward the Environment.” Journal for the Scientific Study of Religion, 32, no. 1 (1993): 19–28. Green, Elizabeth, and Mary C Grey. Ökofeminismus und Theologie = Ecofeminism and theology = Écoféminisme et théologie. Kampen, the Netherlands: Kok Pharos Publishing House, 1994. Green, Kate. “My Life Being Green: An Eco-Theology.” Cross Currents 63, no. 4 (December 1, 2013): 390–400. Green, Lorna. Earth Age: A New Vision of God, the Human, and the Earth. New York: Paulist Press, 1994. Greer, Paul. “The Aquarian Confusion: Conflicting Theologies of the New Age.” Journal of Contemporary Religion 10, no. 2 (May 1, 1995): 151–66. Grey, Mary C. Sacred Longings : Ecofeminist Theology and Globalisation. London: SCM, 2003. Grim, John. Ecology and Religion. Washington, DC: Island Press, 2014. Gross, Rita M. Religious Feminism and the Future of the Planet : A Christian-Buddhist Conversation. New York: Continuum, 2001. Gruenwald, Oskar. “The Third Culture: An Integral Vision of the Human Condition.” Journal of Interdisciplinary Studies 17, no. 1–2 (January 1, 2005): 139–60. Grula, John W. “Pantheism Reconstructed: Ecotheology as a Successor to the Judeo-Christian, Enlightenment, and Postmodernist Paradigms.” Zygon 43, no. 1 (March 1, 2008): 159–80. Gushee, David P. “The Sacredness of God’s Creation.” Perspectives in Religious Studies 36, no. 2 (June 1, 2009): 187–97. Gustafson, James M. A Sense of the Divine : The Natural Environment from a Theocentric Perspective. Cleveland, Ohio: Pilgrim Press, 1994. Habel, Norman C. An Inconvenient Text : Is a Green Reading of the Bible Possible?. Adelaide, Australia: ATF Press, 2009. ———. “Earth-Mission: The Third Mission of the Church.” Currents in Theology and Mission 37, no. 2 (April 1, 2010): 114–25. ———. “Introducing Ecological Hermeneutics.” Lutheran Theological Journal 46, no. 2 (August 1, 2012): 97–105. ———. The Earth Story in the Psalms and the Prophets. Sheffield: Sheffield Academic, 2001. Habel, Norman C., Alan H Cadwallader, and Peter L. Trudinger. Where the Wild Ox Roams : Biblical Essays in Honour of Norman C. Habel. Sheffield: Sheffield Phoenix Press, 2013. Habel, Norman C., David M Rhoads, and H Santmire. The Season of Creation : A Preaching Commentary. Minneapolis: Fortress Press, 2011. Habel, Norman C., and Shirley Wurst. The Earth Story in Genesis. Sheffield: Sheffield Academic, 2000. ———. The Earth Story in Wisdom Traditions. Sheffield: Sheffield Academic Press, 2001. Habel, Norman C., and Vicky Balabanski. The Earth Story in the New Testament. Sheffield: Sheffield Academic Press ; Cleveland, 2002. Haffner, Paul. Towards a Theology of the Environment. Leominster, England: Gracewing, 2008. Hallman, David G. Ecotheology : Voices from South and North. Eugene: Wipf & Stock Publishers, 2009. ———. Spiritual Values for Earth Community. Geneva: WCC Publications, 2000. Hall, Matthew. Plants as Persons : A Philosophical Botany. Albany: State University of New York Press, 2011. Hall, Steven G. “Toward a Theology of Sustainable Agriculture.” Perspectives on Science and Christian Faith 54, no. 2 (June 1, 2002): 103–7. Hannola, Paul Andrew. “Human/nature or Human-Nature? The Place of Humans in the Global Ecology and What It Means for the Church.” Lutheran Theological Journal 43, no. 1 (May 1, 2009): 4–20. Hargrove, Eugene C. Religion and Environmental Crisis. Athens: University of Georgia Press, 1986. Hart, John. Sacramental Commons : Christian Ecological Ethics. Lanham, Md: Rowman & Littlefield Publishers, 2006. ———. The Spirit of the Earth. New York: Paulist Press, 1984. ———. What Are They Saying about Environmental Theology?. New York: Paulist Press, 2004. Hazra, Orla O’Reilly. “Awakening the Cartesian Dreamer: Universal Values in Solidarity with an Evolutionary Universe.” Journal of Dharma 37, no. 2 (April 1, 2012): 147–68. Heltzel, Peter. “The World House: Prophetic Protestantism and the Struggle for Environmental Justice.” Union Seminary Quarterly Review 63, no. 1–2 (January 1, 2010): 26–41. Henderson, Lawrence Joseph. The Fitness of the Environment : An Inquiry into the Biological Significance of the Properties of Matter. New York: Macmillan, 1924. Herva, Vesa-Pekka. “Flower Lovers, after All? Rethinking Religion and Human-Environment Relations in Minoan Crete.” World Archaeology, 38, no. 4 (2006): 586–98. Hessel, Dieter T. Theology for Earth Community : A Field Guide. Maryknoll, NY: Orbis Books, 1996. Hessel, Dieter T, and Rosemary Radford Ruether. Christianity and Ecology : Seeking the Well-Being of Earth and Humans. Cambridge, Mass: Harvard University Center for the Study of World Religions, 1999. Hill, Brennan. Christian Faith and the Environment : Making Vital Connections. Maryknoll, NY: Orbis Books, 1998. Hitzhusen, Gregory E. “Judeo-Christian Theology and the Environment: Moving beyond Scepticism to New Sources for Environmental Education in the United States.” Environmental Education Research 13, no. 1 (2007): 55–74. Horrell, David. “A New Perspective on Paul? Rereading Paul in a Time of Ecological Crisis.” Journal for the Study of the New Testament 33, no. 1 (September 1, 2010): 3–30. Horrell, David, and Dominic Coad. “‘The Stones Would Cry out’ (Luke 19:40): A Lukan Contribution to a Hermeneutics of Creation’s Praise.” Scottish Journal of Theology 64, no. 1 (January 1, 2011): 29–44. Horrell, David G. Ecological Hermeneutics : Biblical, Historical and Theological Perspectives. London ; New York: T & T Clark, 2010. ———. “Engaging the Bible in GCSE and A Level Religious Studies: Environmental Stewardship as a Test Case.” British Journal of Religious Education 36, no. 1 (2014): 72–87. ———. Greening Paul : Rereading the Apostle in a Time of Ecological Crisis. Waco, Tex: Baylor University Press, 2010. ———. The Bible and the Environment : Towards a Critical Ecological Biblical Theology. London ; Oakville, CT: Equinox, 2010. Hosenfeld, Charlene. Ecofaith: Creating and Sustaining Green Congregations. Cleveland, Ohio: Pilgrim Press, 2009. Houtan, Kyle Schuyler Van, and Michael S Northcott. Diversity and Dominion : Dialogues in Ecology, Ethics, and Theology. Eugene, Or: Wipf and Stock Pub, 2010. Howell, Nancy R. A Feminist Cosmology : Ecology, Solidarity, and Metaphysics. Amherst, NY: Humanity Books, 2000. ———. “Ecofeminism : What One Needs to Know.” Zygon 32, no. 2 (June 1, 1997): 231–41. Hull, Fritz. Earth & Spirit : The Spiritual Dimension of the Environmental Crisis. New York: Continuum, 1993. Imsland, Donald. Celebrate the Earth. Minneapolis: Augsburg PubHouse, 1971. Inglis, Nathanael L. “The Kinship of Creation: An Anabaptist Ecological Anthropology.” Conrad Grebel Review 30, no. 2 (March 1, 2012): 162–87. Irwin, Kevin W, and Edmund D. Pellegrino. Preserving the Creation : Environmental Theology and Ethics. Washington, DC: Georgetown University Press, 1994. James, Lovely Awomi. “Philosophical Roots of Ecological Problems and Feminist Issues.” Bangalore Theological Forum 44, no. 1 (June 1, 2012): 84–106. Janku, Andrea, Gerrit J Schenk, and Franz Mauelshagen. Historical Disasters in Context: Science, Religion, and Politics. New York: Routledge, 2012. Jenkins, Willis. “After Lynn White: Religious Ethics and Environmental Problems.” The Journal of Religious Ethics, 37, no. 2 (2009): 283–309. ———. Ecologies of Grace : Environmental Ethics and Christian Theology. Oxford ; New York: Oxford University Press, 2008. ———. “Religion and Ecology: A Review Essay on the Field.” Journal of the American Academy of Religion 77, no. 1 (March 1, 2009): 187–97. Johnson, Elizabeth A. Women, Earth, and Creator Spirit. New York: Paulist Press, 1993. Johnston, Lucas. “Sustainability as a Global Faith? The Religious Dimensions of Sustainability and Personal Risk.” Journal of the American Academy of Religion 82, no. 1 (March 1, 2014): 47–69. ———. “The Religious Dimensions of Sustainability: Institutional Religions, Civil Society, and International Politics since the Turn of the Twentieth Century.” Religion Compass 4, no. 3 (March 1, 2010). Johnston, Lucas F. Religion and Sustainability Social Movements and the Politics of the Environment. Sheffield ; Bristol, CT: Equinox, 2013. Joranson, Philip N, and Ken Butigan. Cry of the Environment : Rebuilding the Christian Creation Tradition. Santa Fe, NM: Bear, 1984. Jung, Loyle Shannon, and Patricia Beattie Jung. Moral Issues and Christian Responses. 8th ed. Minneapolis: Fortress Press, 2013. Junquera, Carmen Flys, José Manuel Marrero Henríquez, and Julia Barella. Ecocríticas : literatura y medio ambiente. Madrid: Iberoamericana ; Frankfurt am Main, 2010. Kalmanson, Leah. “Facing Nature: Levinas and Environmental Thought.” Environmental Ethics 35, no. 4 (2013): 501–2. Kalof, Linda, and Terre Satterfield. The Earthscan Reader in Environmental Values. London ; Sterling, VA: Earthscan, 2005. Kariuki Wakarega, John B. “Responsible Stewardship of the Environment: Justice, Peace and Reconciliation.” AFER 51, no. 1–2 (March 1, 2009): 131–59. Katz, Eric. “Faith, God, and Nature: Judaism and Deep Ecology.” In Deep Ecology and World Religions, 153–67. Albany: State Univ of New York Pr, 2001. Katz, Eric M. “Judaism and the Ecological Crisis.” In Worldviews and Ecology, 55–70. Lewisburg, Penn: Bucknell Univ Pr, 1993. ———. “Nature as Subject: Human Obligation and Natural Community.” In Many Heavens, One Earth, 17–29. Lanham: Lexington Bks, 2012. Kay, Jeanne. “Human Dominion over Nature in the Hebrew Bible.” Annals of the Association of American Geographers 79, no. 2 (1989): 214–32. Kay, Paul A., and Bob Chodos. “Man the Hunter? Hunting, Ecology, and Gender in Judaism.” Ecotheology 11, no. 4 (December 1, 2006): 494–509. Kaza, Stephanie. Mindfully Green: A Personal and Spiritual Guide to Whole Earth Thinking. Boston: Shambhala, 2008. Kearns, Laurel, and Catherine Keller. Ecospirit : Religions and Philosophies for the Earth. 1st edition. New York: Fordham University Press, 2007. Kidd, John. On the Adaptation of External Nature to the Physical Condition of Man : Principally with Reference to the Supply of His Wants and the Exercise of His Intellectual Faculties. London: WPickering, 1833. King, Ursula. Faith and Praxis in a Postmodern Age. London: Cassell, 1998. Kinsley, David R. Ecology and Religion : Ecological Spirituality in Cross-Cultural Perspective. Englewood Cliffs, NJ: Prentice Hall, 1995. Kirk-Duggan, Cheryl A., ed. “Eco-Feminism and beyond: Toward the Greening of Religious and Theological Studies.” Journal of Women and Religion 19 (January 1, 2002): 7–116. Kirkham, Nin. “Transcending Our Biology: A Virtue Ethics Interpretation of the Appeal to Nature in Technological and Environmental Ethics.” Zygon: Journal of Religion & Science 48, no. 4 (2013): 875–89. Kjellberg, Seppo. Urban Ecotheology. Utrecht: International Books, 2000. Knitter, Paul F. One Earth, Many Religions : Multifaith Dialogue and Global Responsibility. Maryknoll, NY: Orbis Books, 1995. Koetje, David S. “Place-Based Agriculture: Christian Environmentalism Informing Collaborations in Agroecology & Biotechnology.” Perspectives on Science and Christian Faith 57, no. 1 (March 1, 2005): 13–23. Kopnina, Helen, and Eleanor Shoreman-Ouimet. Environmental Anthropology Today. London ; New York: Routledge, 2011. Kuhns, William. Environmental Man. [1st edition]. New York: Harper & Row, 1969. Kureethadam, Joshtrom Isaac. Creation in Crisis : Science, Ethics, Theology. Maryknoll, New York: Orbis Books, 2014. LaChance, Albert J., and John E Carroll. Embracing Earth : Catholic Approaches to Ecology. Maryknoll, NY: Orbis Books, 1994. LaDuke, Winona. Recovering the Sacred : The Power of Naming and Claiming. 1st edition. Cambridge, MA: South End Press, 2005. Lane, Belden C. Ravished by Beauty : The Surprising Legacy of Reformed Spirituality. New York: Oxford University Press, 2011. Largen, Kristin Johnston. “Dare to Believe.” Dialog 48, no. 2 (June 1, 2009): 114–15. Lee, Bryan Jeongguk. Celebrating God’s Cosmic Perichoresis : The Eschatological Panentheism of Jürgen Moltmann as a Resource for an Ecological Christian Worship. Eugene, Or: Pickwick Publications, 2011. Liederbach, Mark, and Seth Bible. True North : Christ, the Gospel, and Creation Care. Nashville, Tenn: B&H Academic, 2012. Lockwood, Peter F. “Reading the Cain and Abel Story from the Angle of Earth.” Lutheran Theological Journal 46, no. 2 (August 1, 2012): 106–18. Lodge, David M., and Christopher Hamlin. Religion and the New Ecology : Environmental Responsibility in a World in Flux. Notre Dame: University of Notre Dame Press, 2006. Lombard, Christo. “Ecology and Pneuma: Needing and Finding Each Other?” Journal of Reformed Theology 6, no. 3 (January 1, 2012): 262–82. Longenecker, Marlene. “Women, Ecology, and the Environment: An Introduction.” NWSA Journal, 9, no. 3 (1997): 1–17. Longwood, Merle. “Common Good : An Ethical Framework for Evaluating Environmental Issues.” Theological Studies 34, no. 3 (September 1, 1973): 468–80. Lothes Biviano, Erin. “Worldviews on Fire: Understanding the Inspiration for Congregational Religious Environmentalism.” Cross Currents 62, no. 4 (December 1, 2012): 495–511. Low, Alaine M., and Soraya Tremayne. Sacred Custodians of the Earth? : Women, Spirituality and the Environment. New York: Berghahn Books, 2001. Lucas, Phillip Charles. “The Eleventh Commandment Fellowship: A New Religious Movement Confronts the Ecological Crisis.” Journal of Contemporary Religion 10, no. 3 (October 1, 1995): 229–41. Maathai, Wangari. Replenishing the Earth : Spiritual Values for Healing Ourselves and the World. 1st edition. New York ; London: Doubleday, 2010. MacDonald, Nathan, M. W Elliott, and Grant Macaskill. Genesis and Christian Theology. Grand Rapids, Mich: W B Eerdmans Pub Co, 2012. MacKinnon, Mary Heather, and Moni McIntyre. Readings in Ecology and Feminist Theology. Kansas City: Sheed & Ward, 1995. Madden, Deborah. “Inward and Outward Health” : John Wesley’s Holistic Concept of Medical Science, the Environment and Holy Living. London: Epworth, 2008. Maguire, Daniel C. Ethics for a Small Planet New Horizons on Population, Consumption, and Ecology. Albany, NY: State University of New York Press, 1998. ———. “Population, Consumption, Ecology: The Triple Problematic.” In Christianity and Ecology, 403–27. Cambridge, Mass: Distributed by Harvard University Press for the Harvard University Center for the Study of World Religions, 2000. ———. “Whom the Gods Would Destroy, They First Make Myopic Religion and Ethics in Cross-Disciplinary Ecological Dialogue.” Union Seminary Quarterly Review 63, no. 1–2 (January 1, 2010): 67–83. Mallory, Chaone. “The Spiritual Is Political: Gender, Spirituality, and Essentialism in Forest Defense.” Journal for the Study of Religion, Nature and Culture 4, no. 1 (March 1, 2010): 48–71. Malone, Nancy M. “Nature as Thou : EcoTheology.” Cross Currents 44, no. 2 (June 1, 1994): 149–246. Maniates, Michael, and John M Meyer. The Environmental Politics of Sacrifice. Cambridge, Mass: MIT Press, 2010. Manning, Russell Re, John Hedley Brooke, and Fraser N Watts. The Oxford Handbook of Natural Theology. Oxford: Oxford University Press, 2013. Marie-Daly, Bernice. Ecofeminism : Sacred Matter/sacred Mother. Chambersburg, PA: Published for the American Teihard Association for the Future of Man, Incby Anima Books, 1991. Markham, Ian S. Do Morals Matter? : A Guide to Contemporary Religious Ethics. Malden, MA ; Oxford: Blackwell Pub, 2007. Marlow, Hilary. “‘What Am I in a Boundless Creation?’: An Ecological Reading of Sirach 16 & 17.” Biblical Interpretation 22, no. 1 (January 1, 2014): 34–50. Martin-Schramm, James B. Christian Environmental Ethics : A Case Method Approach. Maryknoll, NY: Orbis Books, 2003. Martin-Schramm, James B., and Daniel T. Spencer. “Fidelity to Earth: A Festschrift in Honor of Larry Rasmussen.” Union Seminary Quarterly Review 58, no. 1–2 (January 1, 2004): 1–201. Mathewes, Charles T. “Religion and the Environment” in Understanding Religious Ethics. Chichester, West Sussex, UK; Malden, MA: Wiley-Blackwell, 2010. McCaffrey, Paul, ed. 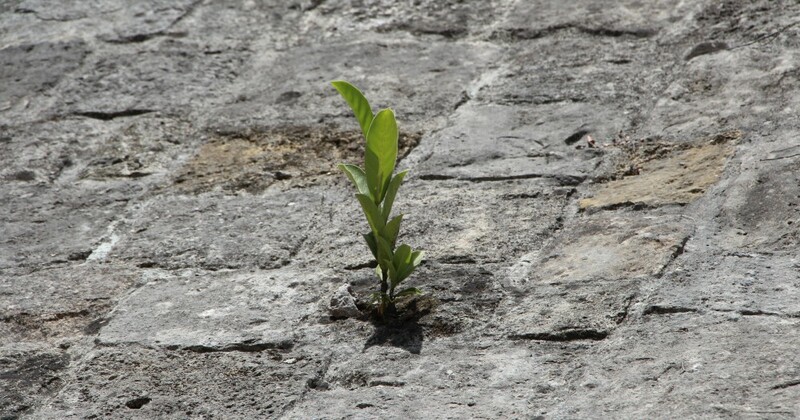 “The Greening of Faith,” in Faith and Science. Ipswich, MA: HWWilson, 2013. McCulloch, Gillian. The Deconstruction of Dualism in Theology : With Special Reference to Ecofeminist Theology and New Age Spirituality. Carlisle: Paternoster Press, 2002. McDaniel, Jay B. “The Manyness of God: A Tribute to James Nash.” Journal for the Study of Religion, Nature and Culture 3, no. 2 (June 1, 2009): 290–94. McDaniel, Jay Byrd. With Roots and Wings : Christianity in an Age of Ecology and Dialogue. Eugene, Or: Wipf & Stock, 2009. McDonagh, Sean. Passion for the Earth. Ecology and Justice. Maryknoll, New York: Orbis Books, 1994. ———. The Greening of the Church. 1st Australian edition. Scoresby, Australia: Canterbury Press, 1990. ———. To Care for the Earth: A Call to a New Theology. Santa Fe, N.M: Bear & Co, 1987. ———. Why Are We Deaf to the Cry of the Earth?. Twenty-First Century Ireland. Dublin, Ireland: Veritas, 2001. McDougall, Dorothy C. The Cosmos as the Primary Sacrament : The Horizon for an Ecological Sacramental Theology. New York: PLang, 2003. McDuff, Mallory D. Natural Saints : How People of Faith Are Working to Save God’s Earth. New York: Oxford University Press, 2010. McElwain, Hugh T. Theology of Limits and the Limits of Theology : Reflections on Language, Environment, and Death. Lanham, MD: University Press of America, 1983. McFague, Sallie. A New Climate for Theology : God, the World, and Global Warming. Minneapolis, Minn: Fortress Press, 2008. ———. Blessed Are the Consumers Climate Change and the Practice of Restraint. Minneapolis: Fortress Press, 2013. ———. Life Abundant : Rethinking Theology and Economy for a Planet in Peril. Minneapolis, MN: Fortress Press, 2001. ———. Models of God : Theology for an Ecological, Nuclear Age. Philadelphia: Fortress Press, 1987. ———. Sallie McFague : Collected Readings. Minneapolis, MN: Fortress Press, 2013. ———. Super, Natural Christians : How We Should Love Nature. Minneapolis, MN: Fortress Press, 1997. ———. The Body of God : An Ecological Theology. Minneapolis: Fortress Press, 1993. McGrath, Alister E. The Reenchantment of Nature : The Denial of Religion, and the Ecological Crisis. New York: Doubleday, 2002. McLaughlin, Ryan Patrick. “Thomas Aquinas’ Eco-Theological Ethics of Anthropocentric Conservation.” Horizons 39, no. 1 (March 1, 2012): 69–97. McManus, Kathleen. “Reconciling the Cross in the Theologies of Edward Schillebeeckx and Ivone Gebara.” Theological Studies 66, no. 3 (September 1, 2005): 638–50. McNeill, John Robert, and Erin Stewart Mauldin. A Companion to Global Environmental History. Chichester, West Sussex ; Hoboken, NJ: Wiley-Blackwell, 2012. Melin, Anders. Living with Other Beings : A Virtue-Oriented Approach to the Ethics of Species Protection. Berlin: Lit, 2013. Merchant, Carolyn. The Death of Nature : Women, Ecology, and the Scientific Revolution. 1st edition. San Francisco: Harper & Row, 1980. Meyer, David. “‘To Work It and to Keep It’: A Jewish Perspective on Sustainable Development.” In Religion and Sustainable Development, 83–94. Münster: Lit Verlag, 2009. Mikusinski, Grzegorz. “Biodiversity Priority Areas and Religions–a Global Analysis of Spatial Overlap.” Oryx 48, no. 1 (2014): 17–22. Moe-Lobeda, Cynthia D. “Karen Bloomquist, Luther, and the Challenge of Climate Justice.” Currents in Theology and Mission 37, no. 3 (June 1, 2010): 209–16. ———. Resisting Structural Evil: Love as Ecological and Economic Transformation. Minneapolis, MN: Fortress Press, 2013. Mohamed, Najma. “Islamic Education, Eco-Ethics and Community.” Studies in Philosophy & Education 33, no. 3 (2014): 315–28. Moltmann, Jürgen. God in Creation : A New Theology of Creation and the Spirit of God. 1st U.S. edition. San Francisco: Harper & Row, 1985. Moo, Jonathan Andrew, and R. S White. Let Creation Rejoice : Biblical Hope and Ecological Crisis. Downers Grove, Illinois: IVP Academic, an imprint of InterVarsity Press, 2014. Moore, Mary Elizabeth. Ministering with the Earth. StLouis, Mo: Chalice Press, 1998. Moseley, Lyndsay, ed. Holy Ground: A Gathering of Voices on Caring for Creation. 1ST edition. San Francisco : Berkeley, Calif.: Sierra Club/Counterpoint, 2008. Muers, Rachel. “The Holy Spirit, the Voices of Nature and Environmental Prophecy.” Scottish Journal of Theology 67, no. 3 (January 1, 2014): 323–39. Mugambi, Jesse Ndwiga Kanyua, and David W Lutz. Applied Ethics in Religion and Culture : Contextual and Global Challenges. Nairobi, Kenya: Action Publishers, 2012. Mugambi, Jesse Ndwiga Kanyua, and Mika Vähäkangas. Christian Theology and Environmental Responsibility. Nairobi: Acton Publishers, 2001. Munteanu, Daniel. “Cosmic Liturgy: The Theological Dignity of Creation as a Basis of an Orthodox Ecotheology.” International Journal of Public Theology 4, no. 3 (January 1, 2010): 332–44. Murad, Munjed M. “Islamic Environmental Stewardship: Nature and Science in the Light of Islamic Philosophy.” Union Seminary Quarterly Review 63, no. 1–2 (January 1, 2010): 145–63. Murphy, Charles M. At Home on Earth : Foundations for a Catholic Ethic of the Environment. New York: Crossroad, 1989. Murphy, Patrick D. Transversal Ecocritical Praxis : Theoretical Arguments, Literary Analysis, and Cultural Critique. Lanham, Maryland: Lexington Books, 2013. Naess, Arne. “Culture and Environment.” Humboldt Journal of Social Relations, 20, no. 1 (1994): 143–49. Naidu, Maheshvari. “Eco-Femin(ism) and Hindu(ism): Positioning Contemporary Eco-Ethic Conversation.” Journal of Dharma 33, no. 1–4 (January 1, 2008): 133–54. Nandhikkara, Jose. “Human Beings-in-Solidarity-with-Nature-and-Grace: Cosmotheandric Perspectives on Ecology.” Journal of Dharma 37, no. 2 (April 1, 2012): 123–28. Narayan, Rajdeva, and Janardan Kumar. Ecology and Religion: Ecological Concepts in Hinduism, Buddhism, Jainism, Islam, Christianity and Sikhism. Institute for Socio-Legal Studies in collaboration with Deep & Deep Publications, New Delhi, 2003. Nash, James A. Loving Nature : Ecological Integrity and Christian Responsibility. Nashvile, Tenn: Abingdon Press, 1991. Nash, James A. “The Bible vs. Biodiversity: The Case against Moral Argument from Scripture.” Journal for the Study of Religion, Nature and Culture 3, no. 2 (June 1, 2009): 213–37. Nash, Roderick. The Rights of Nature : A History of Environmental Ethics. Madison, Wis: University of Wisconsin Press, 1989. Nasr, Seyyed Hossein. Man and Nature : The Spiritual Crisis in Modern Man. Chicago, IL: ABC International Group, 1997. ———. Religion & the Order of Nature : The 1994 Cadbury Lectures at the University of Birmingham. New York: Oxford University Press, 1996. Newell, J. Philip. A New Harmony: The Spirit, the Earth, and the Human Soul. 1 edition. San Francisco, CA: Jossey-Bass, 2011. Newman, Paul W. “The Word Proceeds from the Spirit.” Journal of Ecumenical Studies 28, no. 1 (December 1, 1991): 115–20. Nicholls, Bruce J. “Our Christian Response to the Global Environmental Crisis.” Evangelical Review of Theology 28, no. 2 (April 1, 2004): 119–29. Norgay, Jamling Tenzing. “Mountains as an Existential Resource, Expression in Religion, Environment and Culture.” Ambio, 2004, 56–57. Norlock, Kathryn. “Building Receptivity: Leopold’s Land Ethic and Critical Feminist Interpretation.” Journal for the Study of Religion, Nature and Culture 5, no. 4 (December 1, 2011): 491–509. Northcott, Michael S. “Loving Scripture and Nature.” Journal for the Study of Religion, Nature and Culture 3, no. 2 (June 1, 2009): 247–53. Northcott, Michael S. The Environment and Christian Ethics. Cambridge ; New York: Cambridge University Press, 1996. Northcott, Michael S. “The Evolution of Green Christianity.” Journal for the Study of Religion, Nature and Culture 5, no. 3 (September 1, 2011): 354–63. Northcott, Michael S., and Peter M. Scott, eds. Systematic Theology and Climate Change : Ecumenical Perspectives. Abingdon, Oxon ; New York, NY: Routledge, 2014. Nothwehr, Dawn M. Ecological Footprints: An Essential Franciscan Guide for Faith and Sustainable Living. Collegeville, Minn: Liturgical Press, 2012. ———. Franciscan Theology of the Environment : An Introductory Reader. 1st edition. Quincy, IL: Franciscan Press, 2002. Nwaigbo, Ferdinand. “Trinity and Ecology.” AFER 53, no. 2 (June 1, 2011): 374–416. O’Brien, Kevin. “Many Heavens, One Earth: Readings on Religion and the Environment.” Worldviews: Global Religions, Culture & Ecology 17, no. 3 (2013): 276–77. ———. “Thinking Globally and Thinking Locally: Ecology, Subsidiarity, and a Multiscalar Environmentalism.” Journal for the Study of Religion, Nature and Culture 2, no. 2 (2006): 218–36. O’Brien, Kevin J. “Balancing Critique and Commitment: A Synthetic Approach to Teaching Religion and the Environment.” Teaching Theology & Religion 17, no. 3 (2014): 189–202. O’Brien, Kevin James. An Ethics of Biodiversity Christianity, Ecology, and the Variety of Life. Washington, DC: Georgetown University Press, 2010. Odum, Howard Thomas. Environment, Power, and Society for the Twenty-First Century : The Hierarchy of Energy. New York: Columbia University Press, 2007. Oelschlaeger, Max. Caring for Creation : An Ecumenical Approach to the Environmental Crisis. New Haven: Yale University Press, 1994. ———. Postmodern Environmental Ethics. Albany: State University of New York Press, 1995. Okonkwo, Izunna. “Liturgical Theology: An Environmental Concern.” AFER 53, no. 2 (June 1, 2011): 417–36. ———. “Liturgical Theology in a Graced World: Linking the Eucharist with Environmental Concerns for the Possibility of Redeeming Nature from Human Exploitation.” Africa Theological Journal 32, no. 2 (January 1, 2009): 64–78. Oliveira, Willian Kaizer de. “Considerações a Respeito de Uma Leitura Ecológica Dos Relatos Da Criação = Considerations Regarding an Ecological Reading of the Creation Narratives.” Protestantismo Em Revista 21 (January 1, 2010). ———. “Por Uma Perspectiva Ecoteológica: A Discussão Sobre Soberania E Segurança Alimentar = Toward an Eco-Theological Perspective: The Discussion on Sovereignty and Food Security.” Protestantismo Em Revista 29 (January 1, 2012). Olofson, Harold. “Taboo and Environment, Cebuano and Tagbanuwa.” Philippine Quarterly of Culture and Society, 23, no. 1 (1995): 20–34. Olson, Roger E. “Christianity and Environmentalism.” Christian Scholar’s Review 28, no. 2 (December 1, 1998): 226–307. Orr, Yosef, and Yossi Spanier. “Traditional Jewish Attitudes towards Plant and Animal Conservation.” In Judaism and Ecology, 54–60. London: Cassell, 1992. Page, Tovis. “Has Ecofeminism Cornered the Market? Gender Analysis in the Study of Religion, Nature, and Culture.” Journal for the Study of Religion, Nature and Culture 1, no. 3 (September 1, 2007): 293–319. Pally, Marcia. The New Evangelicals : Expanding the Vision of the Common Good. Grand Rapids, Mich: W B Eerdmans Pub Co, 2011. Palmer, Martin. Faith in Conservation: New Approaches to Religions and the Environment. Washington, DC: World Bank, 2003. Passmore, John Arthur. Man’s Responsibility for Nature : Ecological Problems and Western Traditions. 2d edition. London: Duckworth, 1980. Pawlikowski, John T. “Creating an Ethical Context for Globalization: Catholic Perspectives in an Interreligious Context.” Journal of Ecumenical Studies 42, no. 3 (June 1, 2007): 363–72. Pearson, Clive. “The Purpose and Practice of a Public Theology in a Time of Climate Change.” International Journal of Public Theology 4, no. 3 (January 1, 2010): 356–72. Peck, Steven L. “Life as Emergent Agential Systems: Tendencies Without Teleology in an Open Universe.” Zygon: Journal of Religion & Science 48, no. 4 (2013): 984–1000. Perelmuter, Hayim Goren. “‘Do Not Destroy’ – Ecology in the Fabric of Judaism.” In Ecological Challenge, 129–38. Collegeville, Minn: Liturgical Pr, 1994. Perry, Peter S. “‘Things Having Lives’: Ecology, Allusion, and Performance in Revelation 8:9.” Currents in Theology and Mission 37, no. 2 (April 1, 2010): 105–13. Peterson, Anna. “In and Of the World? Christian Theological Anthropology and Environmental Ethics.” Journal of Agricultural & Environmental Ethics 12, no. 3 (October 1999): 237–61. Phillips, Benjamin B. “Getting into Hot Water: Evangelicals and Global Warming.” Journal of Markets & Morality 12, no. 2 (September 1, 2009): 315–35. Pratt, Douglas. “Relational Agency: God and Ecotheology.” Colloquium 36, no. 1 (May 1, 2004): 21–31. Preston, Christopher J. “Re-Thinking the Unthinkable: Environmental Ethics and the Presumptive Argument Against Geoengineering.” Environmental Values, 20, no. 4 (2011): 457–79. Preston, Ronald H. “The Question of a Just, Participatory and Sustainable Society.” Bulletin of the John Rylands University Library of Manchester 63, no. 1 (September 1, 1980): 95–117. Primavesi, Anne. From Apocalypse to Genesis : Ecology, Feminism, and Christianity. Minneapolis: Fortress Press, 1991. Proctor, James. “Religion as Trust in Authority: Theocracy and Ecology in the United States.” Annals of the Association of American Geographers, 96, no. 1 (2006): 188–96. Prothero, Donald R. Reality Check How Science Deniers Threaten Our Future. Bloomington: Indianapolis, 2013. Rae, Eleanor. Women, the Earth, the Divine. Maryknoll, NY: Orbis, 1994. Rakoczy, Susan. “The Theological Vision of Elizabeth A Johnson.” Scriptura, no. 98 (January 1, 2008): 137–55. Ralte, Lalrinawmi. “Contributions of Vandana Shiva to Ecofeminism in India: A Tribal Woman’s Response.” Bangalore Theological Forum 38, no. 2 (December 1, 2006): 59–88. Rappaport, Roy A. Ecology, Meaning, and Religion. 2nd edition. Berkeley, Calif: North Atlantic Books, 1979. Rasmussen, Larry L. Earth Community Earth Ethics. Maryknoll, NY: Orbis Books, 1996. ———. Earth-Honoring Faith : Religious Ethics in a New Key. New York: Oxford University Press, 2013. ———. “Waiting for the Lutherans.” Currents in Theology and Mission 37, no. 2 (April 1, 2010): 86–98. Read, Rupert J. Philosophy for Life. London ; New York: Continuum, 2007. Redekop, Calvin Wall. Creation & the Environment : An Anabaptist Perspective on a Sustainable World. Baltimore: Johns Hopkins University Press, 2000. Reich, K Helmut. “How Could We Get to a More Peaceful and Sustainable Human World Society? The Role of Science and Religion.” Zygon 47, no. 2 (June 1, 2012): 308–21. Rhoads, David M. Earth and Word : Classic Sermons on Saving the Planet. New York: Continuum, 2007. Riley, Matthew T. “The Democratic Roots of Our Ecologic Crisis: Lynn White, Biodemocracy, and the Earth Charter.” Zygon: Journal of Religion & Science 49, no. 4 (2014): 938–48. ———. “The Earth Charter and Biodemocracy in the Twenty-First Century.” Zygon: Journal of Religion & Science 49, no. 4 (2014): 904–9. Robb, Carol S. “Biblical Authority to Advocate for Biodiversity: A Response to James A. Nash.” Journal for the Study of Religion, Nature and Culture 3, no. 2 (June 1, 2009): 238–46. ———. “Resources for Eco-Theology: Retrieval within Christian Traditions.” Journal for the Study of Religion, Nature and Culture 6, no. 1 (March 1, 2012): 88–103. Robb, Carol S., and Carl Casebolt. Covenant for a New Creation : Ethics, Religion, and Public Policy. Maryknoll, NY: Orbis Books, 1991. Roberts, W. Patching God’s Garment: Environment and Mission in the 21st Century. Monrovia, Calif: MARC, 1994. Rockefeller, Nelson A. Our Environment Can Be Saved. [1st edition]. Garden City, NY: Doubleday, 1970. Rockefeller, Steven C., and John Elder. Spirit and Nature : Why the Environment Is a Religious Issue : An Interfaith Dialogue. Edited by Middlebury College. Boston: Beacon Press, 1992. Rohrman, Douglass F. “Religion, Law, and the Environment.” Frontiers in Ecology and the Environment, 5, no. 1 (2007): 51–51. Rolston, Holmes. A New Environmental Ethics : The next Millennium for Life on Earth. New York: Routledge, 2012. Rønnow, Tarjei. Saving Nature : Religion as Environmentalism, Environmentalism as Religion. Berlin: LIT, 2011. Rose, Or N, Jo Ellen Green Kaiser, and Margie Klein. “Renewing Creation: Judaism and the Environment,” in Righteous Indignation : A Jewish Call for Justice. Woodstock, Vt: Jewish Lights Pub, 2008. Rossing, Barbara R., and Robert Saler. “Faith and Earthkeeping: A Tribute to the Environmental Ministry of David Rhoads.” Currents in Theology and Mission 37, no. 2 (April 1, 2010): 82–83. Rowe, Sharon, and James D. Sellmann. “An Uncommon Alliance: Ecofeminism and Classical Daoist Philosophy.” Environmental Ethics 25, no. 2 (June 1, 2003): 129–48. Rozzi, Ricardo, ed. Linking Ecology and Ethics for a Changing World : Values, Philosophy, and Action. Dordrecht: Springer, 2013. Ruether, Rosemary Radford. Gaia & God : An Ecofeminist Theology of Earth Healing. 1st edition. San Francisco: HarperSanFrancisco, 1992. ———. “Reflections on a Sustainable Theological Education: A Tribute to David Rhoads.” Currents in Theology and Mission 37, no. 2 (April 1, 2010): 99–104. ———. Women Healing Earth : Third World Women on Ecology, Feminism, and Religion. Maryknoll, NY: Orbis Books, 1996. Rupp, George. “Religion, Modern Secular Culture, and Ecology.” Daedalus, 130, no. 4 (2001): 23–30. Rushforth, Brett. “‘The Great Spirit Was Grieved’: Religion and Environment among the Cowlitz Indians.” The Pacific Northwest Quarterly, 93, no. 4 (2002): 188–98. Sahinidou, Ioanna. Hope for the Suffering Ecosystems of Our Planet : The Contextualization of Christological Perichoresis for the Ecological Crisis. 1 [edition].. New York: Peter Lang, 2014. Sahtouris, Elisabet. Gaia : The Human Journey from Chaos to Cosmos. New York: Pocket Books, 1989. Saler, Robert. “Creativity in Earthkeeping: The Contribution of Joseph Sittler’s The Structure of Christian Ethics to Ecological Theology.” Currents in Theology and Mission 37, no. 2 (April 1, 2010): 126–35. Santmire, H. The Travail of Nature : The Ambiguous Ecological Promise of Christian Theology. Philadelphia: Fortress Press, 1985. Santmire, H Paul. Brother Earth : Nature, God, and Ecology in Time of Crisis. New York: TNelson, 1970. ———. “Ecology, Justice, Liturgy: A Theological Autobiography.” Dialog 48, no. 3 (September 1, 2009): 267–78. ———. Nature Reborn. 1St Edition edition. Minneapolis, MN: Fortress Press, 2000. ———. Ritualizing Nature: Renewing Christian Liturgy in a Time of Crisis. Minneapolis: Fortress Press, 2008. Sarkar, R. L. The Bible, Ecology, and Environment. Delhi: Published for the Christian Institute for the Study of Religion and Society by ISPCK, 2000. Savage, Allan M. The Ecology : A “New to You” View : An Orthodox Theological Ecology. Winnipeg: ArtBookbinderycom, 2008. Schaefer, Jame. Confronting the Climate Crisis : Catholic Theological Perspectives. Milwaukee, Wis: Marquette University Press, 2011. ———. Theological Foundations for Environmental Ethics : Reconstructing Patristic and Medieval Concepts. Washington, DC: Georgetown University Press, 2009. Scharper, Stephen B. Redeeming the Time : A Political Theology of the Environment. New York: Continuum, 1997. Schorsch, Ismar. “Trees for Life.” Union Seminary Quarterly Review 45, no. 3–4 (January 1, 1991): 243–48. Schwartz, Eilon. “Bal Tashchit: A Jewish Environmental Precept.” Environmental Ethics 19, no. 4 (1997): 355. Scott, Lindy. Christians, the Care of Creation & Global Climate Change. Eugene, OR: Pickwick Publications, 2008. Scott, Peter Manley. “The Future as God’s Amnesty? A Public Theology of Resistance for a Changing Climate.” International Journal of Public Theology 4, no. 3 (January 1, 2010): 314–31. Scoville, Judith N. “Fitting Ethics to the Land: H. Richard Niebuhr’s Ethic of Responsibility and Ecotheology.” Journal of Religious Ethics 30, no. 2 (June 1, 2002): 207–29. Searle, Donald Richard. Population Growth, Resource Consumption and the Environment : Seeking a Common Vision for a Troubled World. Victoria, BC: Centre for Studies in Religion and Society, University of Victoria, 1995. Sebastian, Mrinalini. “A Response to the Paper ‘Contributions of Vandana Shiva to Ecofeminism in India: A Tribal Woman’s Response’ by Lalrinawmi Ralte.” Bangalore Theological Forum 38, no. 2 (December 1, 2006): 89–92. Sessions, George. Deep Ecology for the Twenty-First Century. 1st edition. Boston: Shambhala, 1995. Shedinger, Robert F. “An Ethics of Biodiversity: Christianity, Ecology, and the Variety of Life.” Ethics, Policy & Environment 16, no. 2 (2013): 224–26. Shelley, Michael T. “Caring for God’s Beautiful Creation: A Salute to David Rhoads.” Currents in Theology and Mission 37, no. 2 (April 1, 2010): 84–98. Shibley, Mark A. “The Greening of Mainline American Religion: A Sociological Analysis of the Environmental Ethics of the National Religious Partnership for the Environment.” Social Compass 44, no. 3 (1997): 333–48. Simkins, Ronald. “The Bible and Anthropocentrism: Putting Humans in Their Place.” Dialectical Anthropology 38, no. 4 (2014): 397–413. Simões, Julio Eduardo dos Santos Ribeiro. “The One, the Other and the Whole: Socio-Eco-Theology according to Leonardo Boff.” Journal of Dharma 37, no. 2 (April 1, 2012): 191–204. Simonett, Helena. “Envisioned, Ensounded, Enacted: Sacred Ecology and Indigenous Musical Experience in Yoreme Ceremonies of Northwest Mexico.” Ethnomusicology 58, no. 1 (2014): 110–32. Simon-Peter, Rebekah. Green Church : Reduce, Reuse, Recycle, Rejoice!. Nashville, Tenn: Abingdon Press, 2010. Skolimowski, Henryk. A Sacred Place to Dwell: Living With Reverence upon the Earth. Rockport, Mass: Element Books Ltd, 1993. Smit, G D S. “Man and Nature: A Patristic Perspective on Ecology.” Acta Patristica et Byzantina 14 (January 1, 2003): 221–31. Smith, Katie, and Tetsunao Yamamori. Growing Our Future : Food Security and the Environment. West Hartford, Conn: Kumarian Press, 1992. Smith, Pamela. “The Ecotheology of Annie Dillard : A Study in Ambivalence.” Cross Currents 45, no. 3 (September 1, 1995): 341–58. Snyder, Howard A. Salvation Means Creation Healed : The Ecology of Sin and Grace : Overcoming the Divorce between Earth and Heaven. Eugene, Or: Cascade Books, 2011. Sölle, Dorothee. To Work and to Love : A Theology of Creation. Philadelphia: Fortress Press, 1984. Solomon, Norman, Richard Harries, and T J. Winter. “The Environment in Jewish, Christian and Muslim Thought.” In Abraham’s Children, 284–88. London: T&T Clark, 2005. Soskice, Janet Martin, and Diana Lipton. Feminism and Theology. New York: Oxford University Press, 2003. Sours, Michael W. “Bahá’i Cosmological Symbolism and the Ecofeminist Critique.” Journal of Bahá’í Studies 7, no. 2 (March 1, 1996): 23–56. Spencer, Daniel T. “The Liberation of Gaia.” Union Seminary Quarterly Review 47, no. 1–2 (January 1, 1993): 91–102. Sponsel, Leslie E. Spiritual Ecology : A Quiet Revolution. Santa Barbara, Calif: Praeger, 2012. Spring, David. Ecology and Religion in History. New York: HarperCollins Publishers, 1974. Spurway, Neil. Humanity, Environment, and God : Glasgow Centenary Gifford Lectures. Oxford, UK ; Cambridge, Mass, USA: Blackwell, 1993. Stanley, John, David Loy, and Gyurme Dorje. A Buddhist Response to the Climate Emergency. Boston: Wisdom Publications, 2009. Steiner, Rudolf. Spiritual Ecology: Reading the Book of Nature and Reconnecting with the World. Rudolf Steiner Press, 2013. Stoll, Mark. “Green versus Green: Religions, Ethics, and the Bookchin-Foreman Dispute.” Environmental History, 6, no. 3 (2001): 412–27. Story, Dan. Should Christians Be Environmentalists?. Kregel Publications, 2012. Sullivan, Franklin Stemple. Spiritual Ecology. Lakemont, Ga: Tarnhelm Press, 1972. Sweeney, Sylvia A. An Ecofeminist Perspective on Ash Wednesday and Lent. New York: Peter Lang, 2010. Swoboda, A. J. Tongues and Trees : Towards a Pentecostal Ecological Theology. Blanford Forum, Dorset, UK: Deo Publishing, 2013. Tal, Alon. “Enduring Technological Optimism: Zionism’s Environmental Ethic and Its Influence on Israel’s Environmental History.” Environmental History, 13, no. 2 (2008): 275–305. Tanner, R. E. S. Religion and the Environment. New York: Palgrave, 2002. Taylor, Bron. Dark Green Religion : Nature Spirituality and the Planetary Future. Berkeley: University of California Press, 2010. ———. Ecological Resistance Movements the Global Emergence of Radical and Popular Environmentalism. Albany: State University of New York Press, 1995. ———. “Editor’s Introduction: Encountering Leopold.” Journal for the Study of Religion, Nature and Culture 5, no. 4 (December 1, 2011): 393–96. ———. “Editor’s Introduction: Toward a Robust Scientific Investigation of the ‘Religion’ Variable in the Quest for Sustainability.” Journal for the Study of Religion, Nature and Culture 5, no. 3 (September 1, 2011): 253–62. ———. “Focus Introduction: Aquatic Nature Religion.” Journal of the American Academy of Religion, 75, no. 4 (2007): 863–74. ———. The Encyclopedia of Religion and Nature. New York: Oxford University Press, 2010. Teilhard de Chardin, Pierre. The Divine Milieu. Brighton ; Portland: Sussex Academic Press, 2004. Theokritoff, Elizabeth. Living in God’s Creation : Orthodox Perspectives on Ecology. Crestwood, NY: StVladimir’s Seminary Press, 2009. Thomas, J Mark. “Evangelicals and the Environment : Theological Foundations for Christian Environmental Stewardship.” Evangelical Review of Theology 17, no. 2 (April 1, 1993): 117–286. Tillman, William M, Jr. “Stewardship.” Southwestern Journal of Theology 37, no. 2 (March 1, 1995): 3–37. Tirosh-Samuelson, Hava. Judaism and Ecology : Created World and Revealed Word. Cambridge, Mass: Center for the Study of World Religions Harvard Divinity School, 2002. ———. “Nature in the Sources of Judaism.” Daedalus, 130, no. 4 (2001): 99–124. ———. “Religion, Ecology, and Gender: A Jewish Perspective.” Feminist Theology 13, no. 3 (May 1, 2005): 373–97. Toly, Noah. “Risk and Responsibility in Global Environmental Governance.” Christian Scholar’s Review 42, no. 3 (2013): 261–75. Tomalin, Emma. Biodivinity and Biodiversity : The Limits to Religious Environmentalism. Farnham, England ; Burlington, VT: Ashgate, 2009. Toulmin, Stephen. The Return to Cosmology : Postmodern Science and the Theology of Nature. Berkeley: University of California Press, 1982. Toulmin, Stephen Edelston. “Nature and Nature’s God.” Journal of Religious Ethics 13, no. 1 (March 1, 1985): 37–52. Touryan, Kenell J. “Renewable Energy for a Sustainable Future: A Christian Imperative.” Perspectives on Science and Christian Faith 64, no. 1 (March 1, 2012): 41–50. Tracy, David, Nicholas Lash, and Marcus Lefébure. Cosmology and Theology. Edinburgh: T& TClark, New York, 1983. Train, Russell E. Remarks by the Honorable Russell E. Train … : North American Conference on Religion and Ecology “Caring for Creation” Friday Evening, May 18, 1990 … Washington DC: World Wildlife Fund, The Conservation Foundation, 1990. Troster, Lawrence. “The Book of Black Fire: An Eco-Theology of Revelation.” Conservative Judaism 62, no. 1–2 (2011): 132–51. ———. “What Is Eco-Theology?” Cross Currents 63, no. 4 (December 1, 2013): 380–85. Troster, Lawrence, and Miriam Wyman. “Judaism and Environment.” Conservative Judaism 44, no. 1 (September 1, 1991): 3–80. Tucker, Catherine M. Nature, Science, and Religion : Intersections Shaping Society and the Environment. Santa Fe: School for Advanced Research Press, 2012. Tucker, Mary Evelyn. “The Earth Charter and Journey of the Universe: An Integrated Framework for Biodemocracy.” Zygon: Journal of Religion & Science 49, no. 4 (2014): 910–16. ———. Worldly Wonder : Religions Enter Their Ecological Phase. Chicago: Open Court, 2003. Tucker, Mary Evelyn, and Duncan Ryūken Williams. Buddhism and Ecology : The Interconnection of Dharma and Deeds. Cambridge, Mass: Harvard University Center for the Study of World Religions, 1997. Tucker, Mary Evelyn, and John A. Grim. “Introduction: The Emerging Alliance of World Religions and Ecology.” Daedalus, 130, no. 4 (2001): 1–22. Tucker, Mary Evelyn, and John Grim. Worldviews and Ecology : Religion, Philosophy, and the Environment. Maryknoll, NY: Orbis Books, 1994. Turner, Frederick. Rebirth of Value Meditations on Beauty, Ecology, Religion, and Education. Albany: State University of New York Press, 1991. Twiss, Sumner B, and Bruce Grelle. Explorations in Global Ethics : Comparative Religious Ethics and Interreligious Dialogue. Boulder, Colo: Westview Press, 1998. Upton, Charles. Who Is the Earth? How To See God in the Natural World. San Rafael, CA: Sophia Perennis, 2008. Uval, Beth. “Ecology in the Bible.” Jewish Bible Quarterly 28, no. 4 (October 1, 2000): 260–63. Van der Meer, Jitse M., and Scott Mandelbrote. Nature and Scripture in the Abrahamic Religions : 1700-Present. Leiden ; Boston: Brill, 2008. Van Dyke, Fred. Between Heaven and Earth: Christian Perspectives on Environmental Protection. Santa Barbara, Calif: Praeger, 2010. Vaney, Neil. “Biodiversity and Beauty.” Pacifica 8, no. 3 (October 1, 1995): 335–45. Van Schalkwyk, Annalet. “Sacredness and Sustainability: Searching for a Practical Eco-Spirituality.” Religion & Theology 18, no. 1–2 (January 1, 2011): 77–92. ———. “The Cosmos as the Body of God: The Interpretation of the Christian Story in Sallie McFague’s Oeuvre.” Scriptura, no. 98 (January 1, 2008): 204–21. ———. “Welfare, Wellbeing and the Oikos Cycle: An Ecofeminist Ethical Perspective of Care.” Journal of Theology for Southern Africa, no. 142 (March 1, 2012): 98–119. Van Stichel, Ellen. “Just Ecology? On Intergenerational and Intragenerational Responsibilities.” Bijdragen 69, no. 4 (January 1, 2008): 411–42. Vaughan-Lee, Llewellyn, Joanna Macy, Thich Nhat Hanh, Wendell Berry, Sandra Ingerman, Richard Rohr, Bill Plotkin, Mary Evelyn Tucker, Brian Swimme, and Vandana Shiva. Spiritual Ecology: The Cry of the Earth. Point Reyes, Californa: The Golden Sufi Center, 2013. Veldman, Robin Globus. How the World’s Religions Are Responding to Climate Change : Social Scientific Investigations. Abingdon, Oxon ; New York: Routledge, 2014. Vigil, José María. “Teología de La Liberación En Camino Hacia Nuevos Paradigmas.” Horizonte 11, no. 32 (October 1, 2013). Vineeth, Vadakethala F. “An Outline for Eco-Theology.” Journal of Dharma 36, no. 3 (July 1, 2011): 243–56. Vitoria, Ignacio Garcia. “Environment vs. Free Enterprise: A Conflict Between Fundamental Rights?” in Conflicts between Fundamental Rights. Edited by Eva Brems. Antwerp ; Portland: Intersentia, 2008. Vogel, Lawrence. “Does Environmental Ethics Need a Metaphysical Grounding?” The Hastings Center Report, 25, no. 7 (1995): 30–39. Waldkoenig, Gilson A C. “Rethinking Environmentalism: A Response to Robert Benne.” Dialog 51, no. 1 (March 1, 2012): 5–7. ———. “Scenes and Means of Grace.” Dialog 50, no. 4 (December 1, 2011): 327–35. Walker-Jones, Arthur. The Green Psalter : Resources for an Ecological Spirituality. Minneapolis: Fortress Press, 2009. Wallace, Mark I. Finding God in the Singing River : Christianity, Spirit, Nature. Minneapolis, MN: Fortress Press, 2005. ———. Green Christianity: Five Ways to a Sustainable Future. Pap/DVD edition. Minneapolis: Fortress Press, 2010. ———. “The Crazy Uncle in the Attic: A Response to Bron Taylor’s Essay ‘Exploring Religion, Nature and Culture — Introducing the Journal for the Study of Religion, Nature and Culture.’” Journal for the Study of Religion, Nature and Culture 3, no. 3 (September 1, 2009): 376–81. ———. “The Wild Bird Who Heals : Recovering the Spirit in Nature.” Theology Today 50, no. 1 (April 1, 1993): 13–28. Warner, Keith Douglass. “The Greening of American Catholicism: Identity, Conversion, and Continuity.” Religion and American Culture: A Journal of Interpretation, 18, no. 1 (2008): 113–42. Waskow, Artur. “Jewish Environmental Ethics: Intertwining Adam with Adamah” in The Oxford Handbook of Jewish Ethics and Morality. Ed. by Elliot N. Dorff, and Jonathan K Crane. Oxford ; New York: Oxford University Press, 2013. Watling, Tony. Ecological Imaginations in the World Religions : An Ethnographic Analysis. London ; New York: Continuum, 2009. Weaver, John. “Co-Redeemers: A Theological Basis for Creation Care.” Perspectives in Religious Studies 36, no. 2 (June 1, 2009): 199–216. White, Jr., Lynn. “The Historical Roots of Our Ecologic Crisis.” Science, 155, no. 3767 (1967): 1203–7. White, R. S. Creation in Crisis : Christian Perspectives on Sustainability. London: SPCK, 2009. Williams, Rowan. “Living With Limits: The Environment,” in Faith in the Public Square. London ; New York: Bloomsbury, 2012. Wills, John. “America and the Environment” in American Thought and Culture in the 21st Century. Edited by Martin Halliwell and Catherine Morley. Edinburgh: Edinburgh University Press, 2008. Winright, Tobias L., ed. Green Discipleship: Catholic Theological Ethics and the Environment. Winona, MN: Anselm Academic, 2011. Winter, Gibson. Liberating Creation : Foundations of Religious Social Ethics. New York: Crossroad, 1981. Wirzba, Norman. The Paradise of God : Renewing Religion in an Ecological Age. Oxford ; New York: Oxford University Press, 2003. Witt, Annick Hedlund. “Pathways to Environmental Responsibility: A Qualitative Exploration of the Spiritual Dimension of Nature Experience.” Journal for the Study of Religion, Nature & Culture 7, no. 2 (2013): 154–86. Witt, Joseph, Lucas Johnston, and Bron Taylor. “Exploring Religion, Nature, and Culture (continued): The Growing Field, Society, and Journal.” Journal for the Study of Religion, Nature and Culture 5, no. 1 (March 1, 2011): 8–17. Wright, Gary A. “Symbols, Ecology, and Cultural Variation.” Anthropos, 1986, 415–33. Wright, Robin M. “Indigenous Moral Philosophies and Ontologies and Their Implications for Sustainable Development.” Journal for the Study of Religion, Nature and Culture 1, no. 1 (March 1, 2007): 92–108. Yong, Amos. The Cosmic Breath : Spirit and Nature in the Christianity-Buddhism-Science Trialogue. Leiden ; Boston: Brill, 2012. Zaleha, Bernard Daley. “James Nash as Christian Deep Ecologist: Forging a New Eco-Theology for the Third Millennium.” Journal for the Study of Religion, Nature and Culture 3, no. 2 (June 1, 2009): 279–89. Zitzke, Ângela. “Reconciliação Divina, Humana E Planetária: O Desafio Do Amor Divino Diante Da Crise Existencial Humana E Ecológica.” Horizonte 7, no. 14 (June 1, 2009).